Shane Mayes is on a mission to save his adopted hometown of Macon. He arrived in 2005 when his wife chose to attend medical school in Kirksville. Then, Mayes, a Gulf War veteran, was astounded by the lack of jobs and wasted potential in the rural areas of northern Missouri. His “audacious” dream was to train rural residents with skills to compete in a global economy. He quickly focused on software development and IT services, creating an outsourcing company to work for Fortune 500 companies. Mayes capitalized on the trend of major companies to reduce costs by outsourcing information technology tasks to lower-priced areas, usually in countries like India. Mayes’ vision was to build bridges through education and training. Nine years later, Onshore Outsourcing has 214 employees and is one of the largest private employers in Macon, behind a ConAgra Foods plant that employs 300 who make Healthy Choice and Chef Boyardee dinners. “We’re dying a slow death here,” Mayes said of rural communities when looking at options for larger clients and revenue sources. He needed to get the buy-in from bigger name customers, and in a rented ballroom at the Ritz-Carlton, St. Louis, Mayes gave it his all and brought back some of Onshore’s first large customers. Afterward in 2005, Onshore was officially launched, and Macon-area residents have been benefitting ever since. 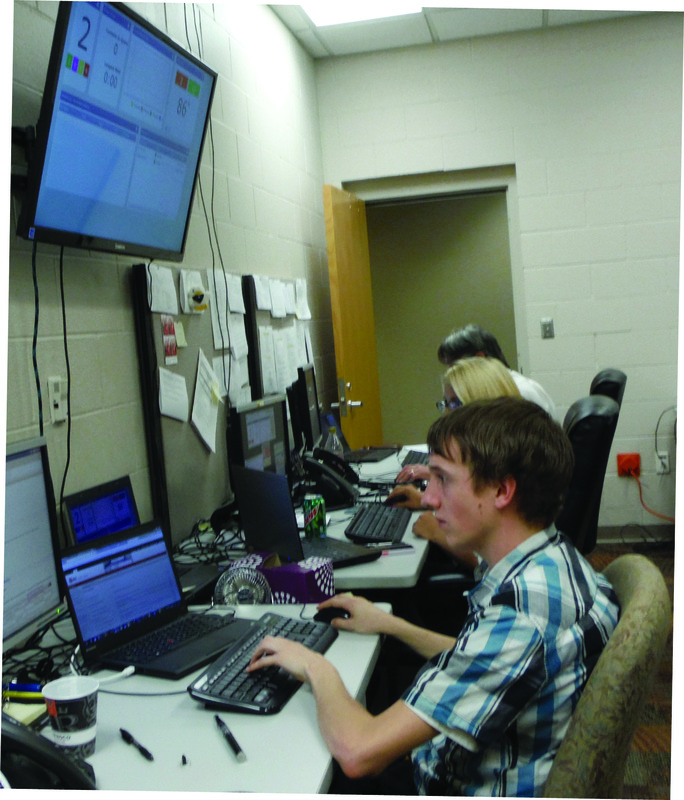 A graduate of Marceline High School, Travis Winegar never envisioned being an IT professional. 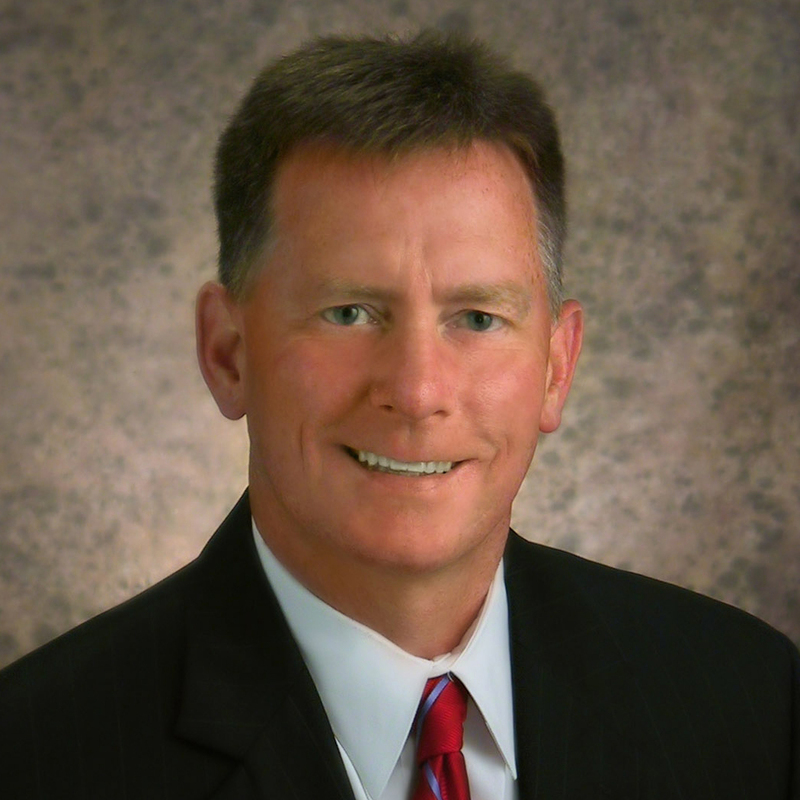 Now, Winegar is Onshoreís vice president of workforce development. In this role, Winegar holds the key to success for other Macon-area men and women who seek a better future through education and software coding. That training is delivered during an intense, eight-week boot camp. Most applicants have little or no college education, and they usually have a bit of work experience from all walks of life. In intense sessions that last until 1 am, the applicants learn to “sling code” and other IT basics. Not being successful in every lesson is part of the plan. Out of every eight applicants that express interest in Onshore, only one or two may make it on to the company’s payroll. The boot camp and follow-up self-study pays off, giving employees the equivalent of one to two years of experience. The newly trained employees then move into positions that include software development, application support, data analysis, database support, and business intelligence. And once an employee begins work at Onshore, Mayes and Winegar push the employee to begin thinking for themselves and begin becoming more innovative, entrepreneurial-minded employees. A walk through the Onshore Outsourcing headquarters along Highway 63 quickly turns into a family conversation. Most employees have known each other for years or were even high school classmates. Stop off at a cubicle, and workers look up from desktop computers to flash baby photos. 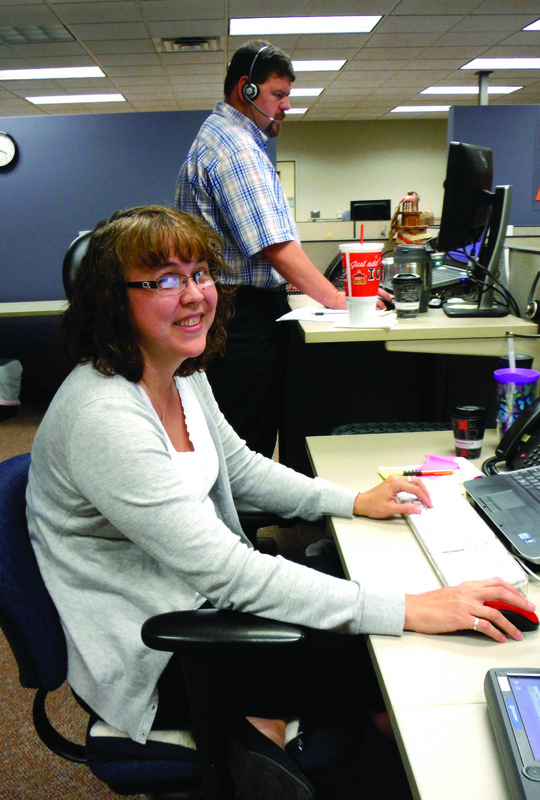 In the call center area, where Onshore’s workers offer phone tech support to several contracted financial service companies and Schneider Trucking, workers personalize their workspaces. Mayes explains that the call centers are a relatively new business line for Onshore, but they offer jobs to workers who cannot participate in boot camp programs. The company now has employees in six states, including Arizona, Colorado, Georgia, Illinois, and Minnesota. He also knows that IT is a continual learning process, and Onshore provides education at Hannibal-LaGrange Community College for employees at no cost. The company also sponsors scholarships. 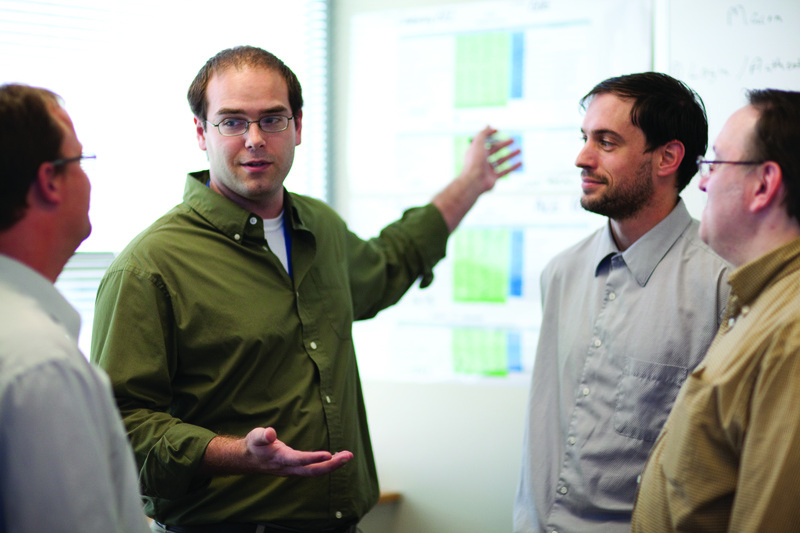 Current employees are encouraged to recruit new workers. Chelsea Miller, who is now Onshoreís benefits administrator, was encouraged to apply after a friend bent her ear in the parking lot of the bank where Miller worked. Employee life and the community are keys to creating such a positive work environment. The company’s recent win in the community’s Relay for Life–an American Cancer Society relay benefitócompetition was a proud accomplishment for the employees. Now, a large trophy sits atop the reception desk. Plans are underway to build a childcare facility on site. The company gives generously to local hospitals, and part of the employee benefits package includes YMCA memberships and employee events like barbecues, movie nights, and volleyball games. Onshore’s mission is to help people move toward a better life, and Mayes sees that mission through by creating a better option in the small towns that the employees love. “We want life to have meaning,” he says.